Made of 85% Copper and 15% Zinc, this true bronze string has been delivering satisfaction since 1972. I play a *somewhat* aggressive, percussive fingerstyle guitar. I find typical medium sets too 'tough', and light sets have too much give. Enter these medium-lights. Now that they have a .016 B string (used to be a .015, which was absurd), they're just about perfect for me. Provide a crisp, clear sound but not overly bright (I'm not a fan of the phosphor-bronze sound.) Yes, I wish that the D and A were 34 & 44 (rather than 32 & 42), but so it goes. 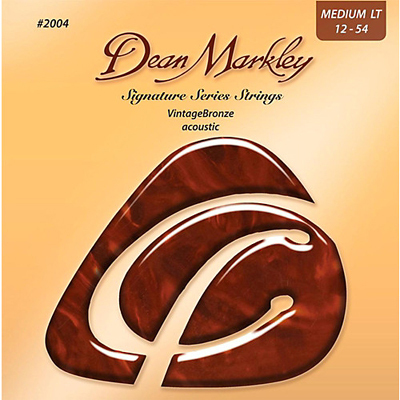 My ideal set is the Newtone Master Class 12-54 (and they are truly excellent strings), but at one third the price, the Dean Markleys are plenty good enough as my affordable go-to strings.